Click on the record button to start : Wavosaur records the audio in. Click on the record button again to stop the recording. If a file is opened, the recorded datas are appended at the end of the current file. A marker is inserted to show the beginning of the record. Check your audio configuration to select the audio input and samplerate. 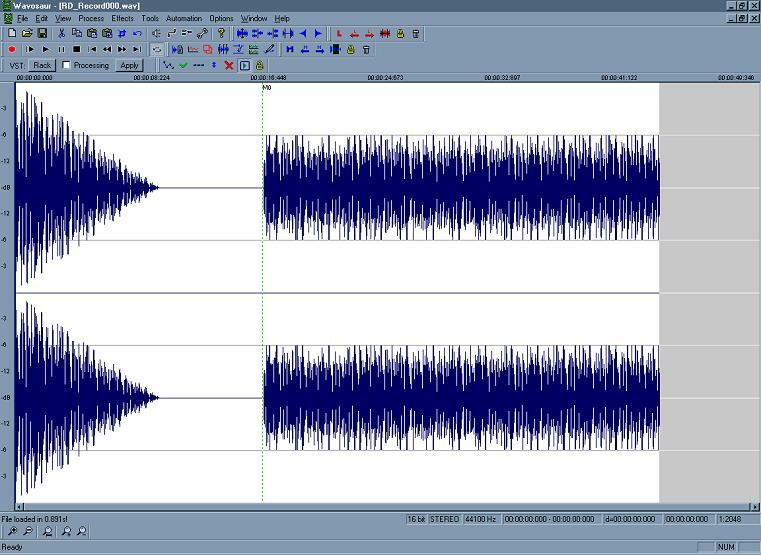 Bit depth is 16 bits, you can change to 24 bits recording if your soundcard supports this bit-depth by editing the wavosaur.cfg (AudioInBitDepth).